Pack a picnic, bring a frisbee, call your friends and enjoy one of Knoxville's most iconic destinations in the heart of downtown. World's Fair Park is a focal point of Knoxville. It bridges the gap between the University of Tennessee and the greater downtown area of Knoxville. It is a hot spot during the warmer summer months, offering great places to play soccer, throw frisbee and run. The downtown Greenway runs right through World's Fair Park, so it is a great place to run through on your way to the river. Basically this park is the go-to spot for downtown recreation, and is never more than a few minutes away. During mid-week breaks from work or school, World's Fair park is always one of the closest places to get outside. The iconic Sun Sphere sits at the edge of the park and cannot be seen without thinking of the fantastic property nestled just below it - where UT's campus ends and central downtown begins. No matter how much time you have available, this park has something for you.During the middle of the day countless people can be seen walking through World's Fair Park during their lunch break. All day this area is used as a quick getaway, but it is also a thriving area for getting exercise. 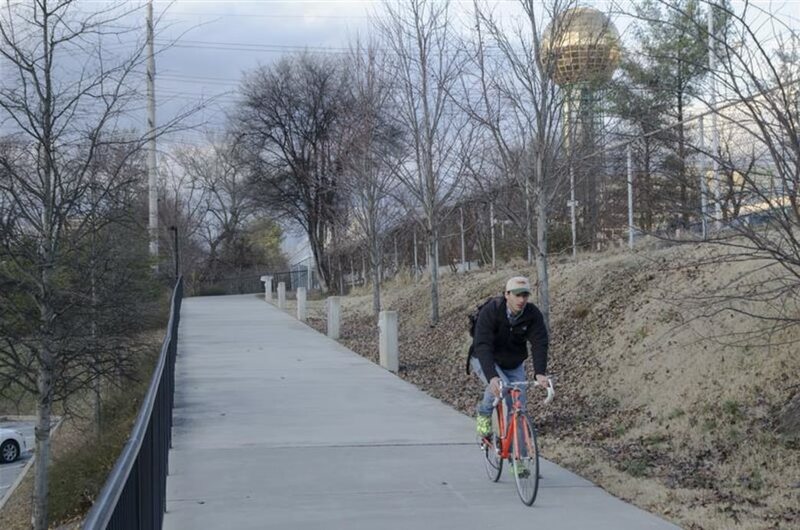 Knoxville's extensive greenway system connects to World's Fair Park, so if you are planning a run to the river or out towards Bearden this is could be the perfect starting place for your run. The best part about World's Fair Park is that you can finish your workout or your time relaxing outside and have immediate access to the best eateries and luxuries of downtown Knoxville. The riverfront is only a few minutes walk away, and the thriving cultural center of Market Square is only a few blocks into downtown. 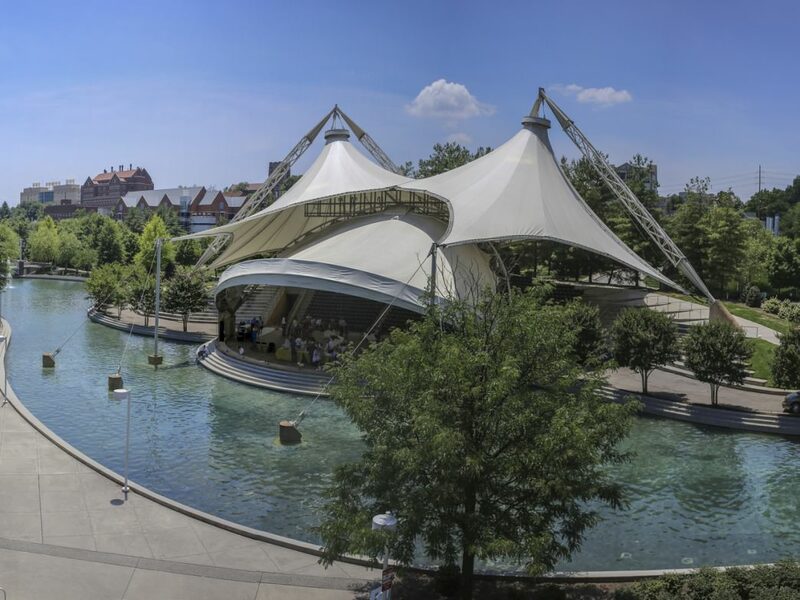 Whether you live in Knoxville or are just passing through, World's Fair Park has something to offer everyone. The park is very well-kept and user friendly, so people looking to simply enjoy the sunshine will have just as much use for the area as those looking to get their heart rate up with a midday run. Parking is available across Henley Street from the Convention Center and also on the western side of World's Fair Park at the Fort Kid parking area near the Museum of Art.Park hours are 6 am until midnight.